Amazing cupcakes for any tea lover! 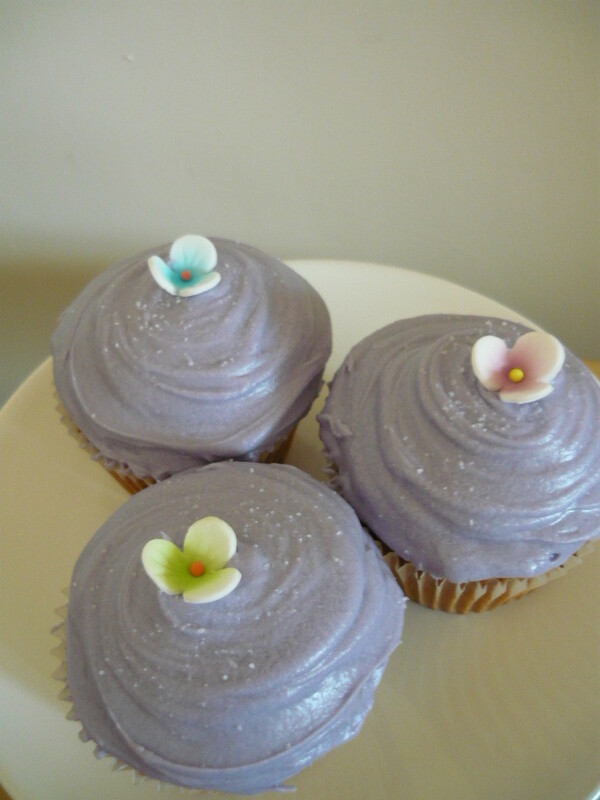 Have included the frosting recipe on this too but this could be purchased to save time! Pre- heat the oven to 170oC (350oF) Gas mark 4. Line a 12 hole muffin tray with paper cases. Heat the milk in a saucepan over a medium heat until it just begins to boil. Remove from the heat and add the tea bags. Cover with clingfilm and leave to infuse for about 30 minutes, then discard the tea bags. In a large bowl cream the butter and sugar together with a electric whisk until pale and smooth. Add the eggs one at a time to continue to beat until incorporated. Combine the two flours in a separate bowl. Add 1/3 of the flour to the creamed mixture and beat well. Pour in 1/3 of the infused milk and continue to beat. Repeat these steps until all the flour and milk have been added. Carefully spoon the mixture into the paper cases - 2/3 full and bake for 25 minutes until golden brown. Cool on a wire rack once baked. I prefer to make the frosting when my cakes are baking. *In a large mixing bowl beat the butter, milk, vanilla extract and half of the icing sugar until smooth. 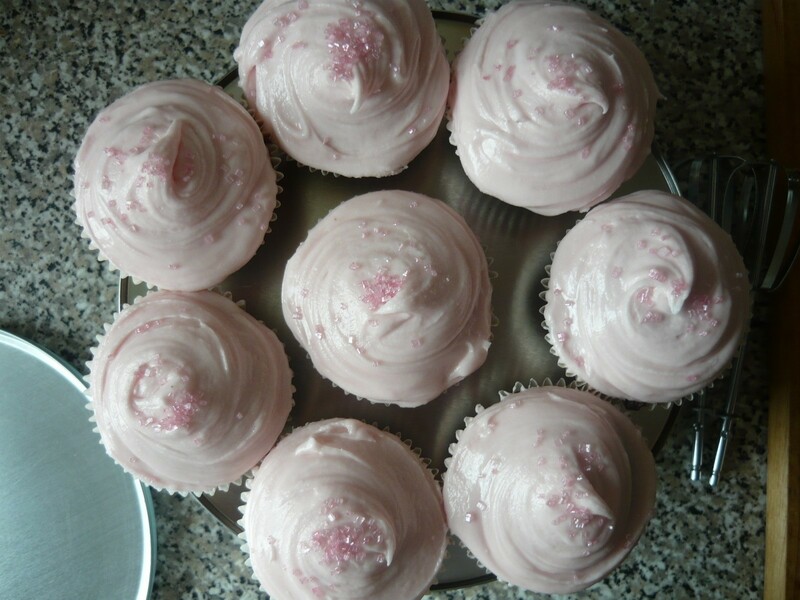 *Gradually add the remainder of the icing sugar and beat until smooth and creamy. *A few drops of colouring can be added at this point if desired. Once the cakes are cool - ice with plenty of frosting! Decorate with a little granulated sugar sprinkled on top. Sugar flowers also add to the cute-ness! i put my cupcakes in the oven this evening and was in the process of posting my version at the same time. however, after 25 minutes in the oven, my chai tea cupcakes were the size of my head, flat as boards and the consistency of...let's say caramelized baby food. :| im sure these cupcakes would have been amazing. but, living in the USA, the metric system is pretty foreign to me and i totally converted the measurments wrong. epic fail on my part. the icing was to die for. too bad i had nothing to put it on.